Coiled SUP Leash is an energy absorbing break-away leash with heavy duty swivels at both the board connection and paddler connection. Can be attached to Rescue PFDs or quick release belt. 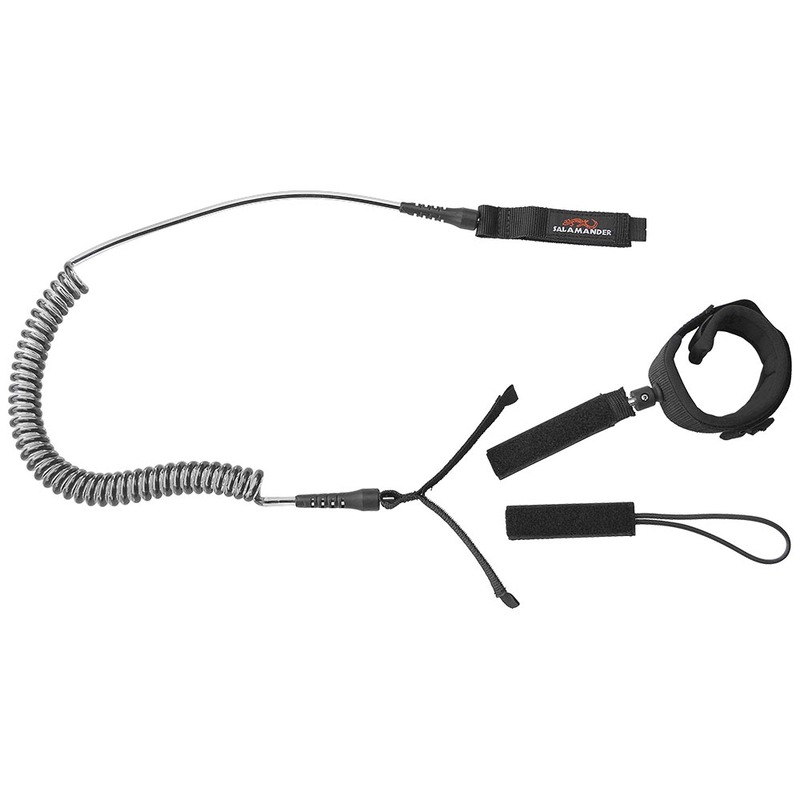 Coiled leash has a maximum stretch length of 10'.